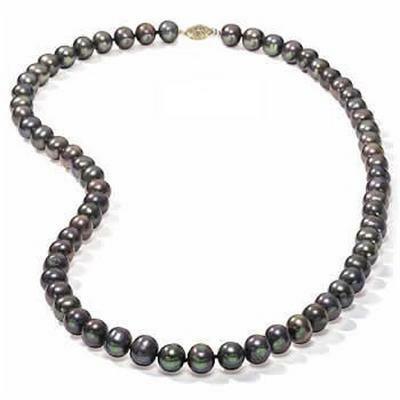 A beautiful and classical necklace rare for the size of its pearls. 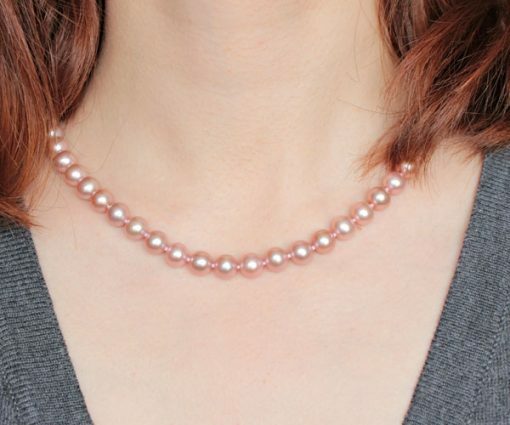 These pearls are becoming harder to harvest and more expensive. 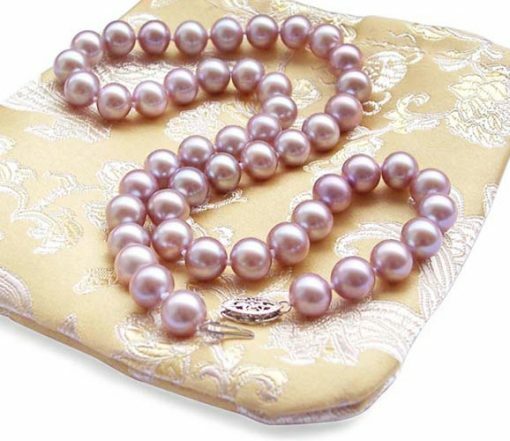 Please note all of our pearls are graded for their quality difference at higher standards than most other strands that are being sold on eBay or other places. 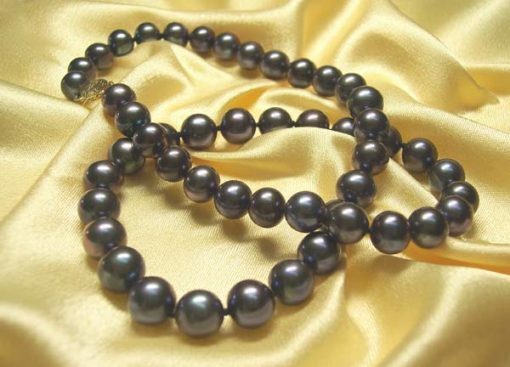 If you want those pearls that are not graded or in semi-round shape, we can provide such pearls for you with much lower prices than anyone else since all other retailers have to buy from us as they do not own their pearl farm. These 8-8.5mm AAA (clean surface of 95% or better) gem quality pearls all come with very high luster. 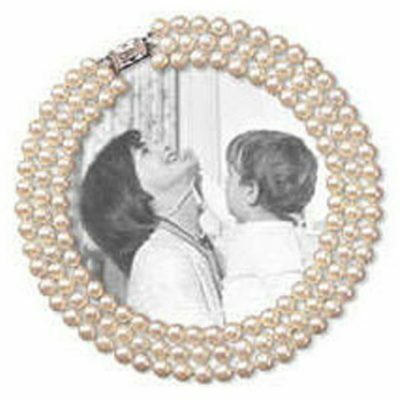 The are very well matched in round shape with hardly any visible flaws and very smooth surfaces. 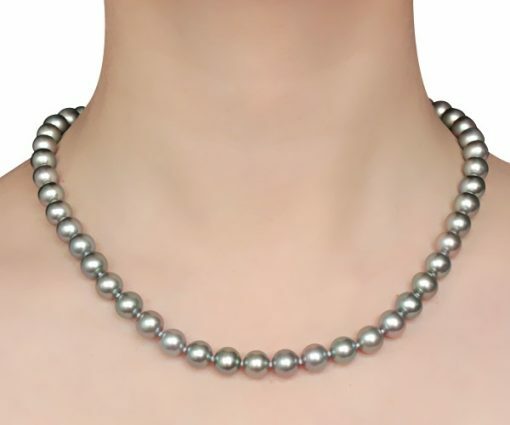 The pearl necklace is approximately 17″ and secured by a 14k solid yellow or white gold pearl clasp. We also have this necklace ready in mauve or white at 15″. 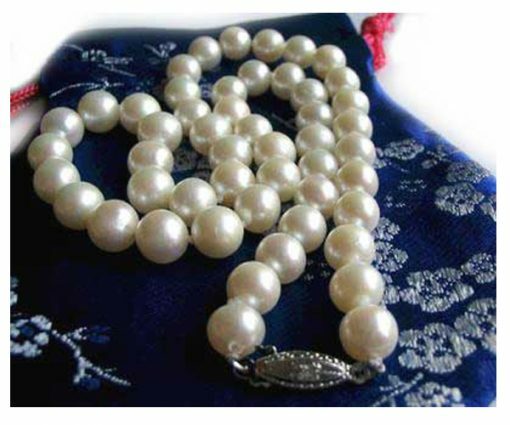 Each pearl is individually knotted for security. 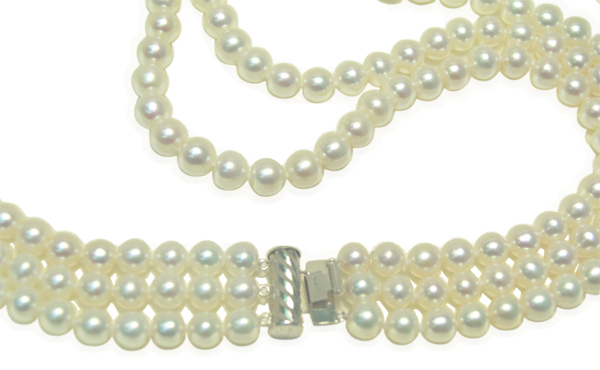 Every extra inch costs only $17. Match this necklace with a pair of 8-8.5mm button pearl earrings in 14k gold or get a pair of matching round pearl earrings here. 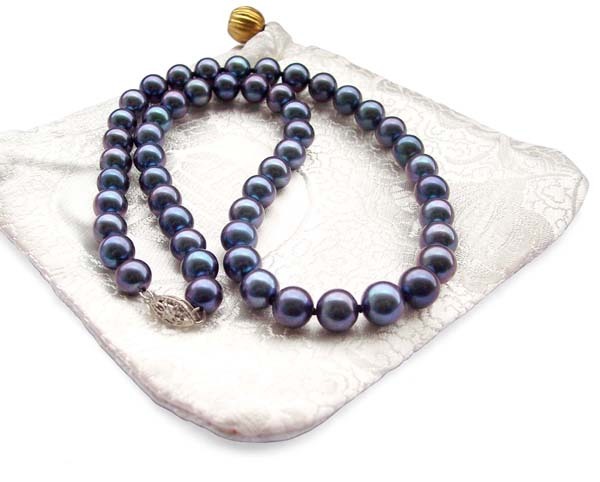 We also have matching bracelet set in 14k gold here. 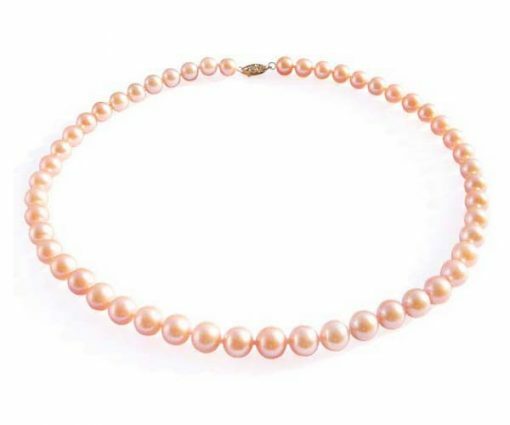 If you need to alter the length, be it 36″ or 100″, all you need to do is fill in the Special Order Request Comment field when you are checking out, and authorize us to charge the extra inch(es) on the same credit card that you are using when you place the order. You will get an email immediately as your receipt.